According to Dr. Carol, one out of every five pets is affected with cancer. In fact, she reports on an 80% increase in breast or mammary cancer and a 100% increase in prostate cancer. She attributes this to ineffective cancer treatments and lack of prevention of cancer. According to Colorado State University, as many as 50% of pets die of cancer, making it a leading cause of pet death. With loads to worry about and treatments being insanely expensive, what can you do now to help prevent cancer in the future? Below, we have gathered ten dog foods that may lead to cancer to keep off of your next shopping trip. Many of these foods have also been known to cause illness in humans and are also a good choice to stay away from in all pet and people foods. Found in only one percent of dog food, this may not be a leading cause of cancer but it does feed cancer according to Natural News. The sugar found in it can also cause weight gain, arthritis, hyperactivity, and others. However, this blog entry does get top spots for being part of “Pet Food Ingredients Revealed!” Other shocking entries and cancer causing agents are revealed. Free to read online, you can check out ingredients listed from best to worst, used with the most frequency, and alphabetically. These are preservatives that are often used in pet foods to preserve fats and stabilize the entire product. Developed in 1950, Ethoxyquin has actually been shown to have similar properties to Agent Orange, a poison used during the Vietnam War. Humans who were working with it in the rubber industry reported a dramatic rise in such diseases as cancerous skin lesions, loss of hair, blindness, leukemia, fetal abnormalities, and chronic diarrhea. In animals, it has been linked to immune deficiency syndrome, spleen, stomach and liver cancer, along with the same diseases in humans. You read that correctly. According to Precious Pets, animals that have cancer often find themselves becoming part of the pet food industry. With different standards for pet food, many cows, chickens, and other farm animals that are diseased – possibly even with cancer – find themselves becoming part of the pet food chain. Tina Perry has much more on a behind the scenes look at commercial pet food. Also bad for people, genetically engineered food can be bad for dogs. They are often used to accelerate the growth of many crops, including corn, which can find their way into dog food. It is far more difficult to trace these GMO’s in dog food, but there is this entry from Yesterday and Tomorrow. It lists the dangers of genetic engineering and even lists foods that are good for pets. This substance is so toxic it actually gets recalled, although not in every state. The toxic chemical is a by-product made by certain types of mold. Although it cannot be read off pet foods that include ingredients on the package, ABC does include a list of recalled foods that recently occurred in seventeen states. Brand names included Pet Pride, Old Yeller, and Kroger Value. These artificial colorings are used in candy, beverages, and baked goods. They have also been found in pet food and have been known to cause brain tumors in mice, according to Six Wise. You can also view the entire list of 12 dangerous food additives that are bad for both people and pets. Did you know that certain people can be allergic to wheat? Keeping in the tradition of what is bad for people is bad for pets, certain dogs can also be allergic to it, leading to a host of unexplained symptoms. While no link to cancer has been drawn, if your pet is having trouble with their diets, gluten may be the reason. Check out this article from Doctor J, an expert in gluten sensitivity in both people and pets. A current popular agricultural pesticide is known as Roundup. One of its active ingredients is glyphosate, which is highly toxic. Dr. Carol is a holistic veterinarian and warns of the dangers of this pesticide in pet and people foods. DNA damage and permanent mutations are a concern of the veterinarian. She also includes loads of cancer preventing tips for animals which include diet, exercise, vaccinations, spaying, and visiting the vet. That stuff that is supposed to be good for fighting cavities can actually be harmful to pets. 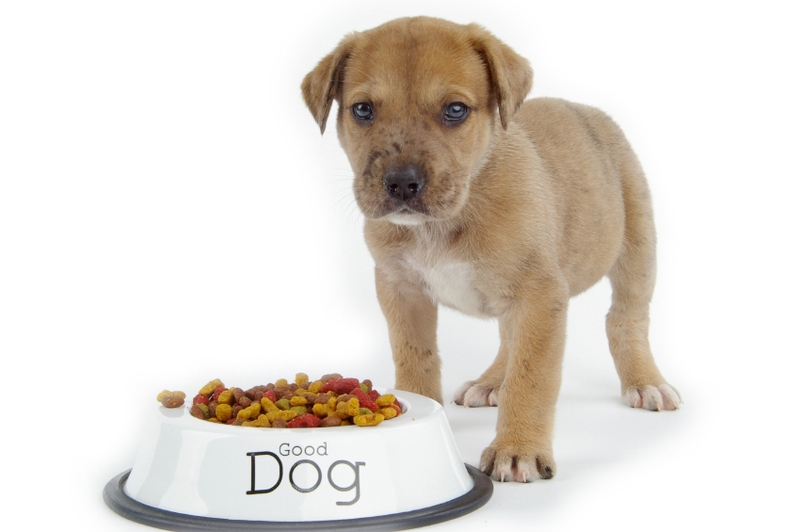 The Pet Examiner reported on a study done by the Environmental Working Group on popular dog foods. They found that all the brands of dog food tested all were found to contain bone meal and animal byproducts. It is believed that these ingredients are the source of fluoride contamination. Excessive fluoride can lead to weakened bones and teeth and even cancer. The Dog Cancer Diet is a site that specializes in help treating diagnosed pets with the best in nutrition. In this section, they recommend that dogs and pets stay away from grains. They did not evolve on grains – which include rice, wheat, and corn – and should not be treated as such. They recommend that owners look for the primary ingredient to be meat. While grains are allowed, they should be farther down the list. If looking for more on pets and disease, there is more to be found than the above ten dog foods that may lead to cancer. Another good source of cancer information is the Animal Cancer Center. Part of Colorado State University, they are researching and investigating into cancer in animals. Visit to learn more, get treatment options, and even read information about clinical trials. If looking to avoid the entire host of pet food perils, there are loads of resources on the internet for making your own. Both Allrecipes and Dogtime include loads of homemade recipes for pets, some of which can actually be made on both the cheap and healthy.